Author Glennon Doyle Melton is the therapist-meets-best friend of your dreams. She knows the answer to the questions you never even knew you had. And knows when you're on the verge of giving up — and she knows when you're just too sad to function. Glennon Doyle Melton knows you all too well: your dislikes, your fears, your deepest ones, too (okay, that was an exaggeration). But she does know you better than you know yourself, because she's probably already been there. Best of all, she knows just how to help you help yourself. Melton's not afraid to be brutally honest about her life. 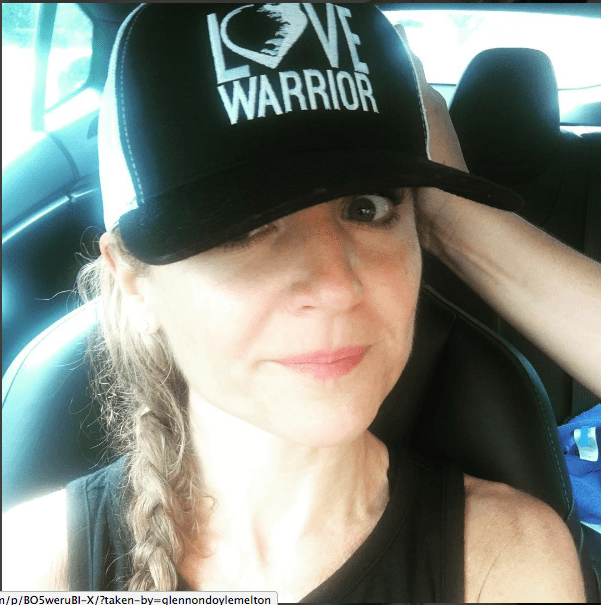 She bares it all on her blog, Momastery, and she's written best-selling memoirs about her experiences with both bulimia and addiction as well as her divorce. Carry On, Warrior, is all about embracing your messy life and finding happiness. Love Warrior explores the complicated workings of love and marriage and divorce. Melton definitely has faced and overcome many challenges, which is why these inspirational quotes are sure to help you face whatever comes your way. If you're searching for the best quotes and memes to share with the people you love (or just want to feel inspired yourself) ... look no further! From the sweetest love quotes. inspirational sayings, and hilarious friendship truths, we've got you covered.